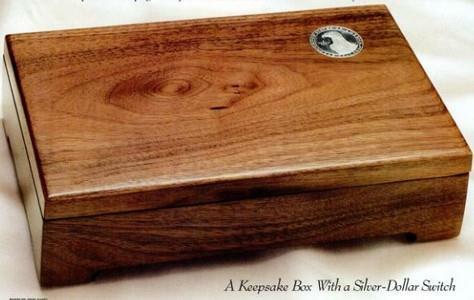 Build a handmade jewelry box as an heirloom piece or as a special present. 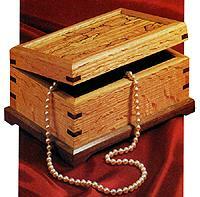 Choose from the many free jewelry box plans below. 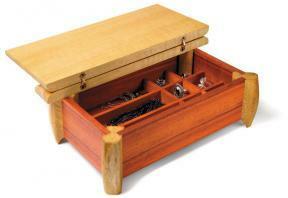 Band saw boxes are novel in their design, deceptively simple to build and make perfect jewelry boxes. 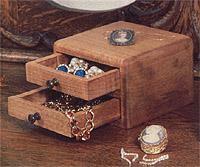 Create this modern yet elegant jewelry box in a weekend. Build a music box made of solid wood. This weekend project is made from highly figured woods using some unique construction techniques.